You have asked for it, so we have made it! 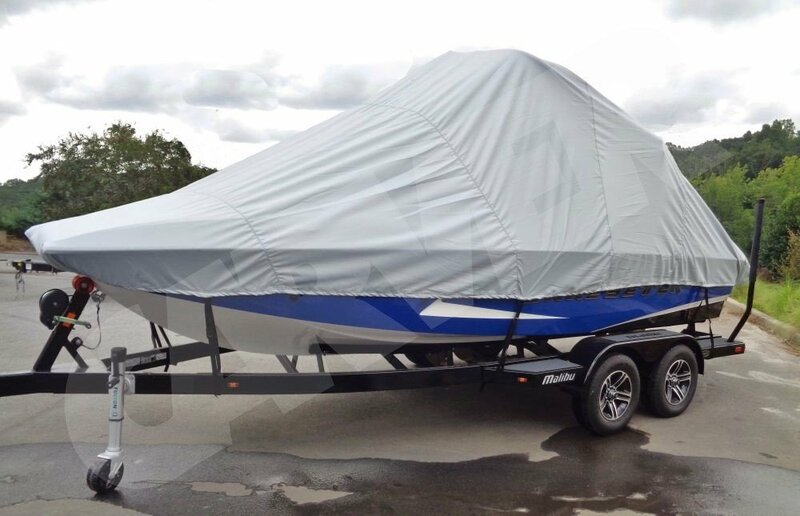 Let us introduce our new Over-the-Tower covers for deck boats and V-hull runabout boats. Both cover styles are made to go over the tower, covering the entire boat, protecting it from all elements of weather. Carver over-the-tower covers for the deck boat are designed to fit your specific style/make of boat. This cover will go over the tower, providing coverage for all the components of the tower, with the wake-board racks folded in. The Carver over-the-tower cover for the V-hull runabout boats is also designed to fit your specific make/style of boat, providing full complete coverage of your boat, including the swim platform. These covers are patterned to fit over the tower, with the tower not exceeding 24” above the windshield. The maximum tower height allowance is 68” from the rub rail. Each cover will come with a tie-down kit (12 straps) and a storage bag. Covers are available in a variety of materials and colors, such as Double Duck, Performance Poly-Guard, Sun-Dura or Sunbrella. 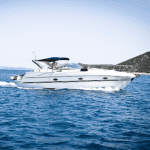 Call us today at 1-866-626-8377, so we can find the right cover for your boat! Any of our friendly customer representatives would happy to help you. 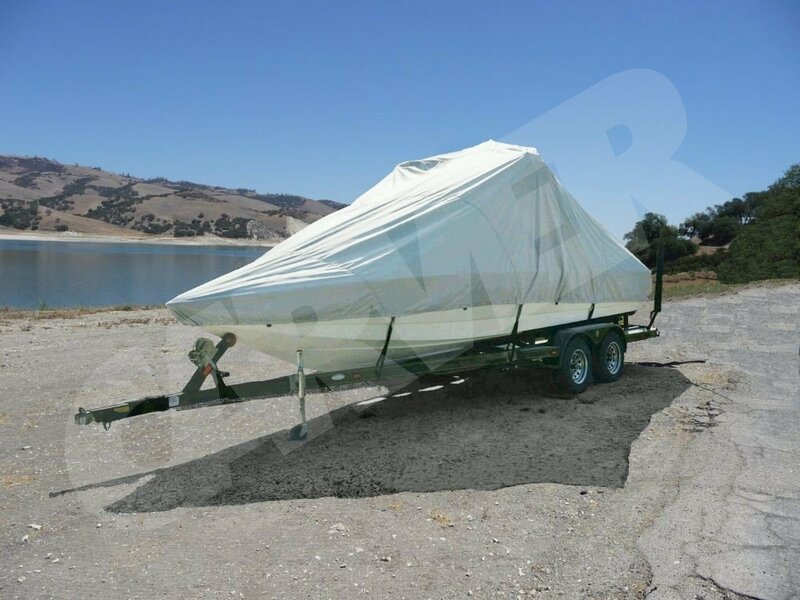 Or, you can go to our website www.boatcoversdirect.com and check out the large variety of covers we offer. We also have live chat options for any questions you have while shopping for your perfect cover.